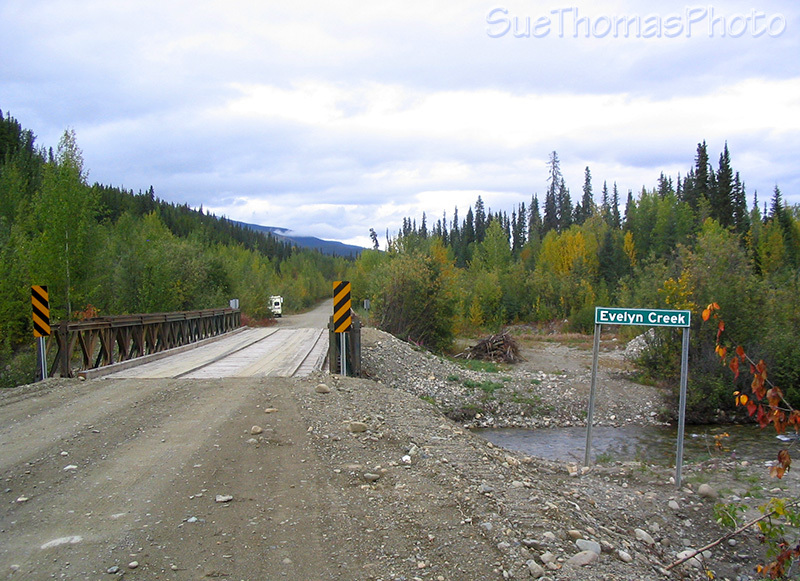 The South Canol meanders 220 km (143 miles) from Johnsons Crossing (Alaska Hwy) to Ross River (Campbell Hwy). There are no services along the road. 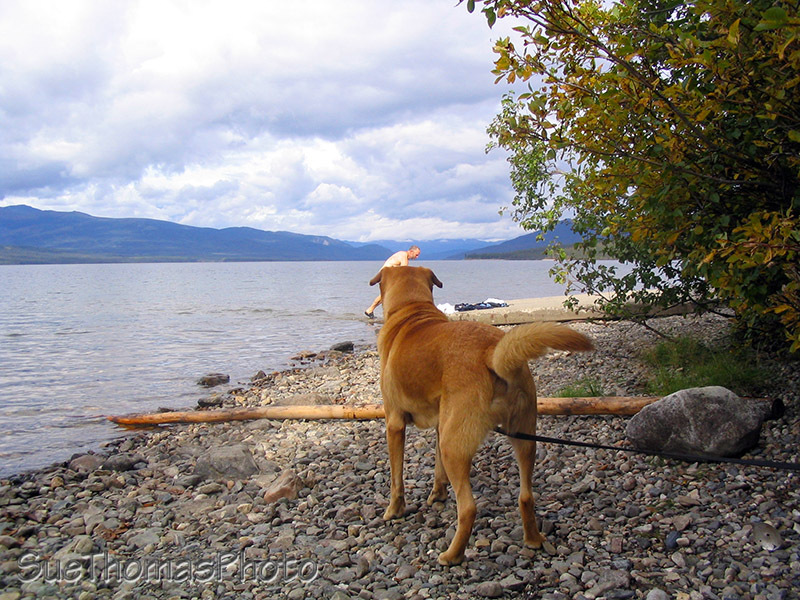 There is one territorial campground and several recreation sites. After a quiet night at Squanga Lake Yukon gov't campground (km 1316 on the Alaska Hwy), we backtracked 20 km to Johnsons Crossing (km 1296), where we filled the truck with diesel. 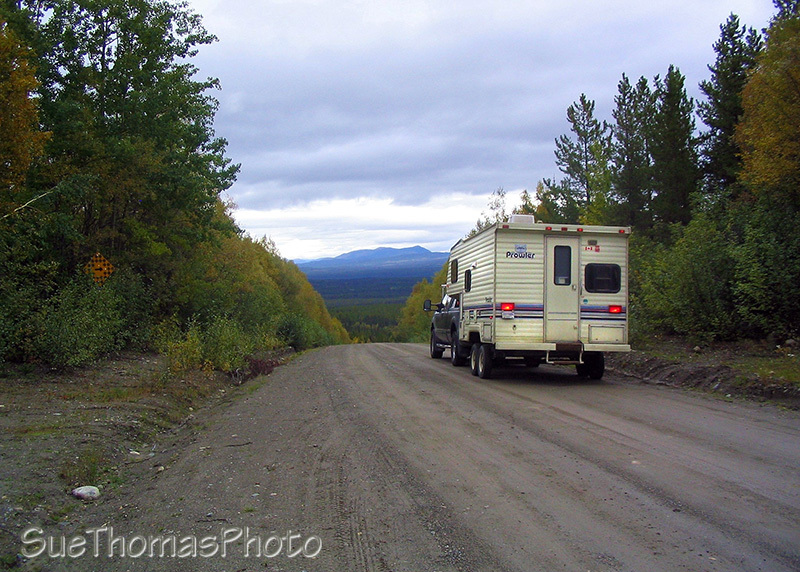 There is also a commercial campground at Johnsons Crossing. I asked about conditions on the South Canol. Turns out a fellow buying coffee was responsible for road maintenance in the area; he told us there was some freshly graded areas, some recent repair of washouts, and was in reasonable condition. He checked out the window to see what we were driving and said he thought we would be all right. 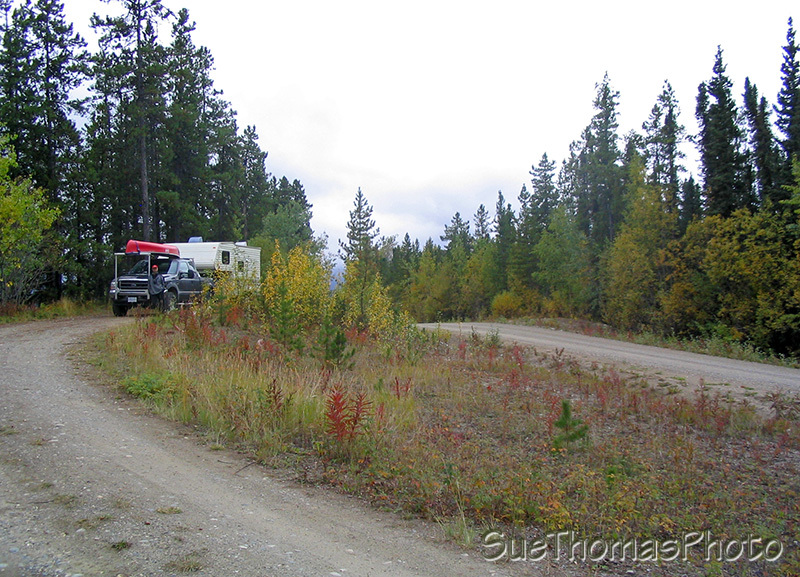 So with cautious excitement, we ventured north on the South Canol Road. The road was good gravel and varied from 2- to 1-lane. 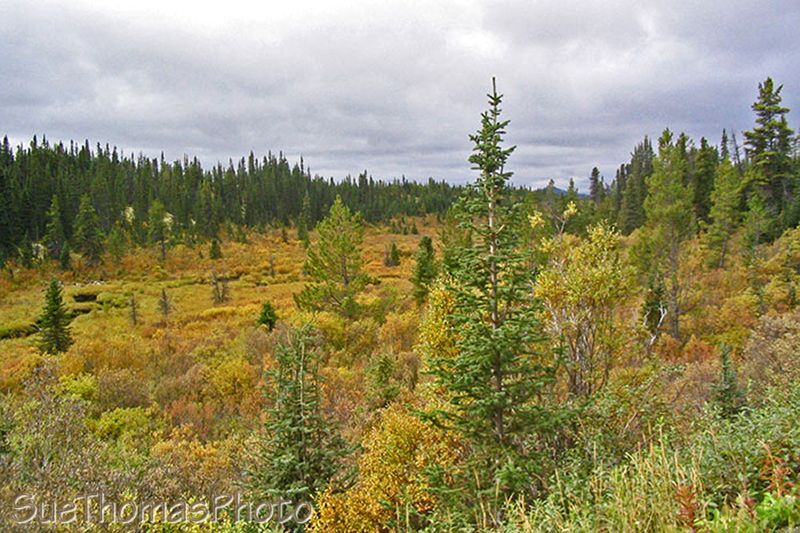 Initially the scenery was not overly spectacular; however, the fall colours added emphasis to the sights. Some of the vistas were very nice. The landscape was quiet and expansive. The bridges were single-lane with wood decks. Generally the wood decks were in good condition. The road was in better condition than we anticipated. The miles were rolling by quickly. 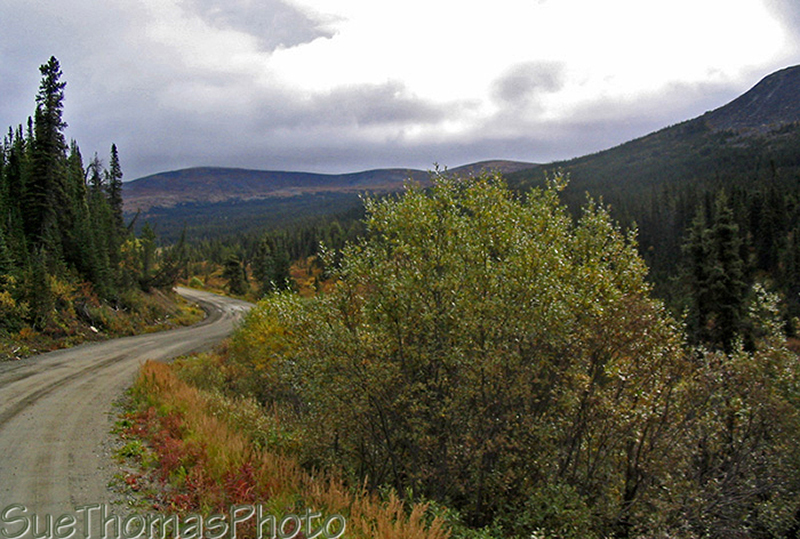 There are few signs along the road and ample places to pull over. 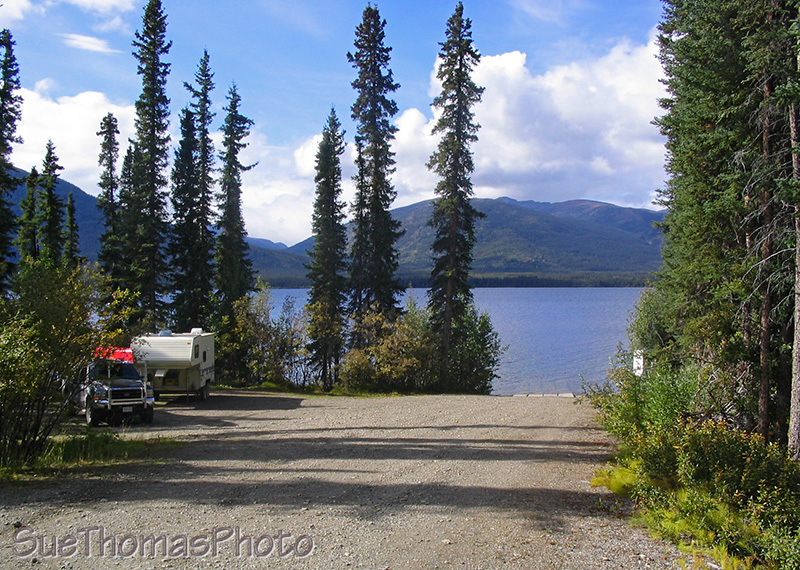 Quiet Lake Yukon Government campground (km 76) was quiet. 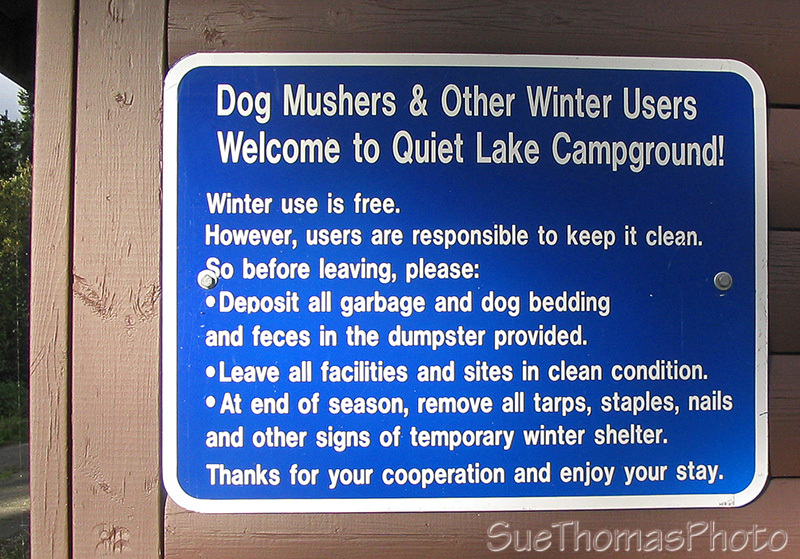 The campground is maintained. The sites also did not have a view of the lake. We decided to camp at the boat launch; it seemed there was not a lot of demand for the launch area. During our two day stay, no one arrived to launch a boat. Steve decided he needed a bath. Because we weren't sure how long it would be before the fresh water tank could be refilled, he took advantage of the water out our back door. The campground likely gets more use in winter than in summer. The picnic shelter had an interesting sign posted on its side.